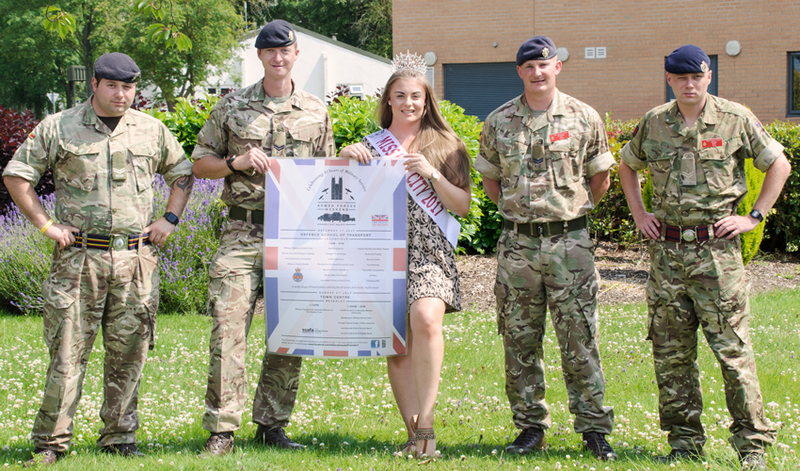 Miss Hull City will be showing off her strength and support of our Armed Forces at this year’s Beverley Armed Forces Weekend. Agatha Lawton will be presenting a prize to the winner of the ‘Tug-of-War’ competition at the Defence School of Transport. Agatha’s passion for the Armed Forces started when she became an Exercise Remedial Instructor for the RAF. She was instrumental in the rehabilitation of injured service men and women, helping them to overcome injuries and return to active service. Miss Hull City not only has beauty to offer, she also has brains. Agatha is studying for a Master’s degree at the renowned Hull York Medical School to become a Physician Associate. She moved to Hull over five years ago to start an undergraduate degree in Sport Rehabilitation at the University of Hull. Beverley’s usual Armed Forces Day has been extended this year and will kick off at the Defence School of Transport, on Saturday 1st July. The military base in Leconfield will also be celebrating its 80th year of service in the East Riding of Yorkshire as part of the weekend’s celebrations. Not only will the public get a chance to see behind the scenes of the world’s largest military driving school, they will also have the opportunity to watch a huge array of musical entertainment. They will be able to hear the Band of the Royal Armoured Corps, Beverley and District Pipes and Humberside and South Yorkshire Army Cadet Force band hitting all of the right notes for the commemorative occasion. Visitors will also have the chance to meet Reserve units from all three Armed Forces and local army cadets. Other attractions will include a display of vehicles ranging from WWII to the present day, an aerobatic display from Captain Neville’s flying circus and a parachute display will provide the day’s finale at Leconfield Those seeking adventure, may wish to give the climbing wall a go or test their archery skills. On Sunday 2nd July, military staff from the Defence School of Transport will march through the town of Beverley after attending a service of thanksgiving in Beverley Minster. This will be followed by a concert in Beverley’s Saturday Market, featuring the Waddington Military Wives Choir, Humberside Police Band and vintage tribute singer, Cherie Lawrence who will also appear at the event at Leconfield on Saturday. In the afternoon the skies will resonate to the extraordinary sound of the BBMF Douglas C-47 Dakota. 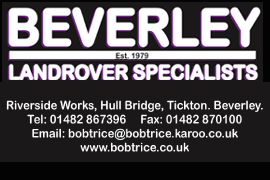 The Beverley Armed Forces weekend event has been organised by SSAFA East Yorkshire in conjunction with the Defence School of Transport. The commemorative occasion will provide the public with the opportunity to show their support for the men and women of the Armed Forces community, from serving troops to Service families, veterans and cadets.